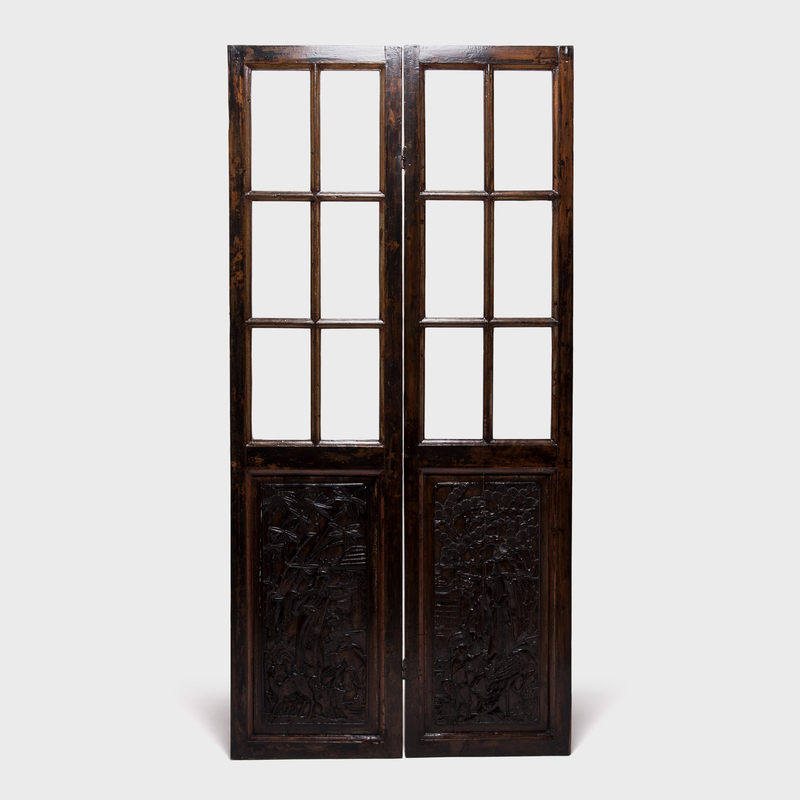 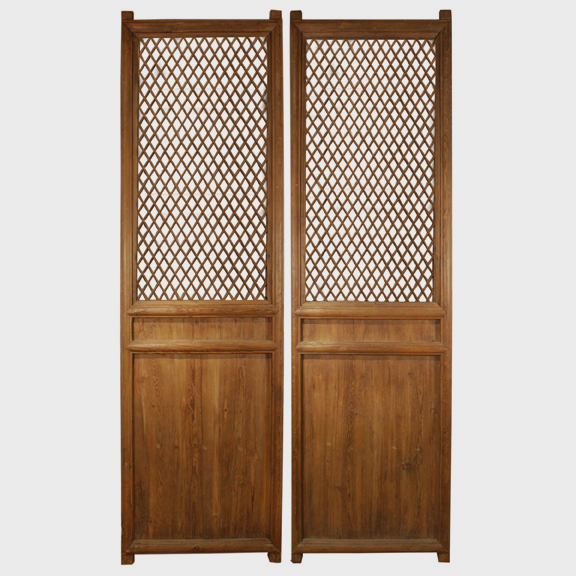 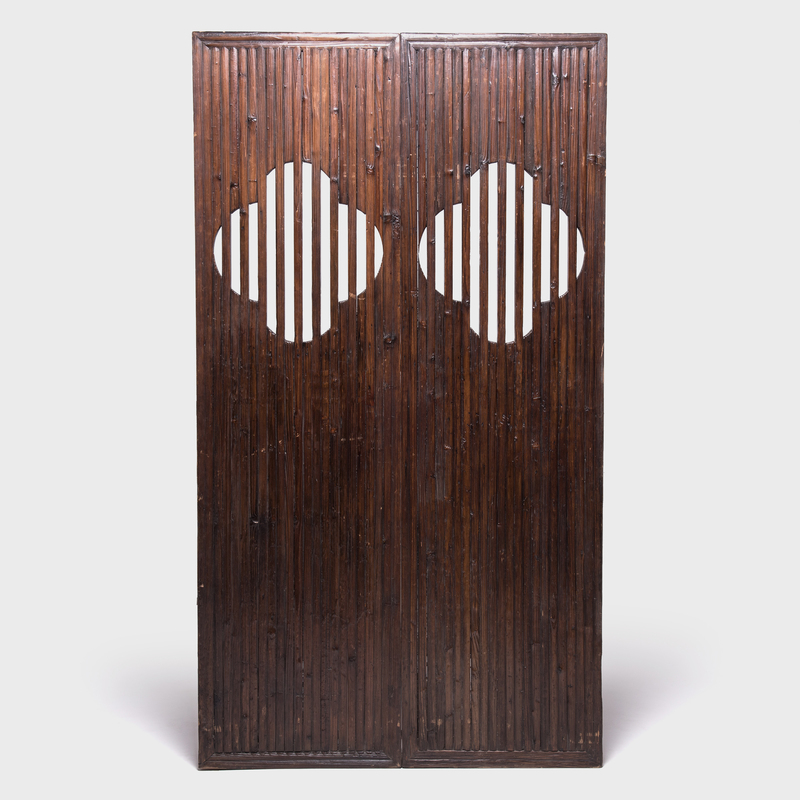 W: 24.0" D: 1.5" H: 99.0"
A hallmark of Qing-dynasty domestic architecture, these hand-carved doors were originally used in a provincial courtyard home to allow light and air into a room while maintaining privacy. 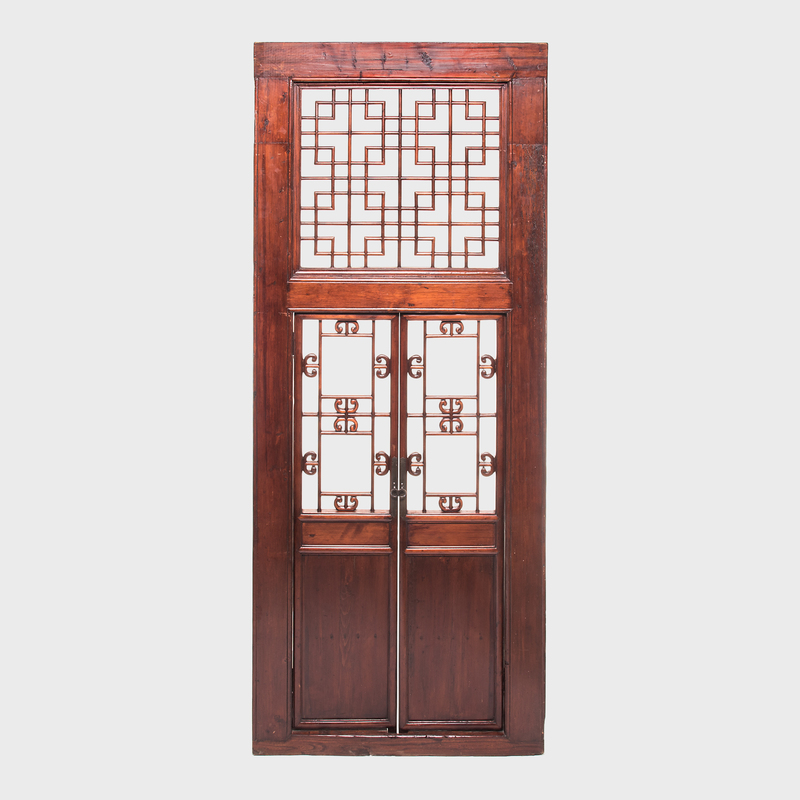 Paned glass balances the dark-lacquered elmwood frame, distinguished by its elegantly carved and painted bottom panels depicting scenes from a scholar’s garden. 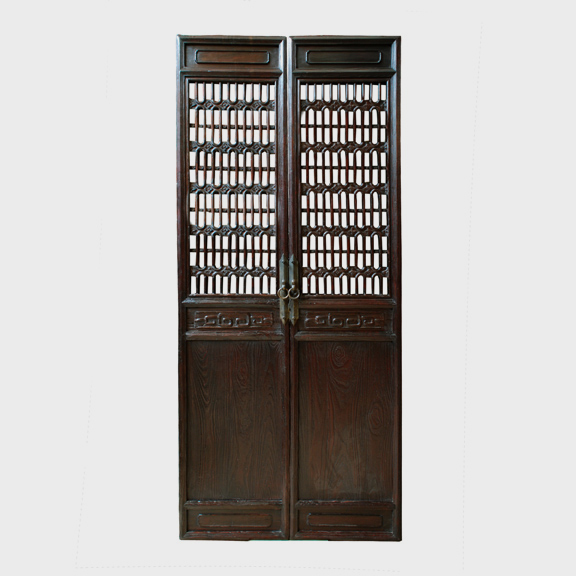 Graced with a rich patina, these once functional doors provide a dynamic focal point when used as wall art or a room divider.